In Not for Profit: Why Democracy Needs the Humanities (Princeton University Press, 2010), Martha Nussbaum, professor of law and ethics at University of Chicago, attempts to provide a manifesto for American education. She is very concerned about the shrinking of the humanities curriculum. It is not just that students flock to schools of business, engineering, and preprofessional programs—programs concerned primarily with career and profit—but that these programs are increasingly driven by a sense that profit is all and that the humanities have little to offer. Her argument is elegant and even at times profound. The awareness that other people are like us, with needs, struggles, and a history, is an achievement that calls for continual nourishment from the time it is developed in infancy. The best nourishment, she argues, is a strong foundation in the humanities. Democracy demands that voters be able to weigh the good of all its citizens. It depends on this grasp of a shared humanity along with an ability to think critically. Reading Nussbaum’s book, I was continually reminded of the audacity of the American experiment in democracy. The noble ideals make it easy to forget that the democracies of ancient Greece and Rome were primarily affairs of wealthy, empowered males. The ars liberalis (rhetoric, grammar, and logic) were concerns of those who already were free, not those who could only aspire to freedom—which included most of the people in society. American democracy also has its roots in such elitism. One of its great triumphs, however, is that so far it has been characterized by a steady expansion of rights. The nineteenth and twentieth centuries were dominated by wars, arguments, and social upheaval connected with extending rights and protections to marginalized groups of different kinds—slaves, women. Today, the status of illegal immigrants and the rights of those with differing sexual orientations are under debate. Do we live in a time when American democracy turns its back on its ideals? While I doubt the humanities, by themselves, have the power to convert the forces of narcissism, especially when rooted in deep economic anxiety, into care and respect for others, I have to applaud Nussbaum for pointing out the threat to our democracy posed by an educational system that doesn’t value the humanities. Even if care for others won’t move us, perhaps the desire to avoid the fates of Greece and Rome will. Mike Wolfkiel is a Senior Training Instructor for the Great Books Foundation. He has an M.A. in philosophy and a B.A. in philosophy and religious studies from Marquette University. And to the delight of his crabgrass and the dismay of his tennis game, he spends his spare minutes trying to write fiction. 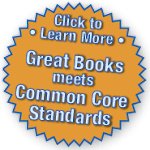 The views expressed in the posts and comments on this blog are the authors' personal opinions and do not represent the views of the Great Books Foundation.